Pests such as bed bugs, spiders, silverfish, ants, rodents, and many others are common visitors in Allendale homes. Allendale is a small, quiet community located in Vigo County; and many of its home’s are nestled amongst wooded areas that lie along twisting roads. The pest control professionals at Action Pest Control understand how important it is to keep pests out of your home in order to keep its structure intact and you and your family safe and healthy. Action is committed to eliminating and controlling any pest that decides to invade your Allendale home; with Action on your side you can have peace of mind in knowing that any pest problem will quickly be resolved using safe treatments that are performed by our highly trained and dedicated staff! The professionals at Action Pest Control are industry leaders in Indiana when it comes to eliminating and controlling bed bugs. We are able to identify and control any size bed bug infestation through our effective, safe, non-invasive, affordable, and eco-friendly bed bug control services. The first step in eliminating bed bugs from your Allendale property is to schedule a bed bug inspection that will be completed by one of our trained bed bug dog detection teams. Action’s bed bug dogs have been specially trained to accurately sniff out not only adult bed bugs, but their nymphs and eggs as well. There is not a wall, mattress, piece of furniture, or floor that bed bugs can hide in, under, or behind to escape our K-9 inspectors. If bed bugs are discovered during an inspection, treatment will quickly be provided through heat remediation. Heat remediation is environmentally friendly, does not require the use of chemicals, requires only one day of treatment, treats both the structure and contents that are inside, and allows you to immediately re-enter your home upon completion of treatment. To schedule a bed bug inspection for your Allendale home, call Action Pest Control today! Mice and rats are, unfortunately, common household pests. They find their way into our homes through any small crack or crevice that they can find. However, as much as they may disagree, both mice and rats are terrible houseguests and should be quickly eliminated from your home. They can introduce other pests like ticks, fleas, and mites into your home. They contaminate food, food prep areas, and kitchen counters with their urine, feces, and saliva. Mice and rats transmit dangerous diseases including Salmonella. They can trigger severe allergies in some people. Mice and rats can be very destructive to the structure of your property by chewing through wires, pipes, insulation, and drywall; along with damaging personal belongings like furniture, clothing, books, pictures, and stored items. Mice and rats both reproduce very quickly and a small infestation can quickly turn into a large infestation in a very short amount of time. The more rodents, the more damage that will be done to your home. Action Pest Control can successfully control mice and rats in your home through our year-round residential pest control programs. Our residential pest control programs not only get rid of dangerous and damaging mice and rats from your home, but they also get rid of other potentially dangerous insects and pests as well. Our residential pest control programs are a sort of one-stop shop for all your pest control needs! Contact Action Pest Control today and start protecting your home from the dangers and damages that mice and rats can cause. Our most comprehensive home pest control program is the Premier pest control program. 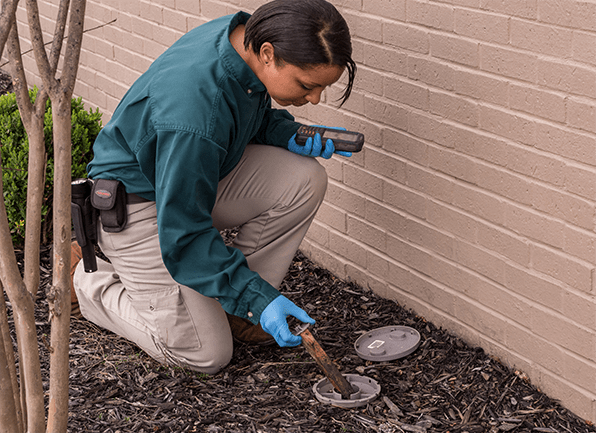 The Premier pest control program covers over 40 household pests, including ants, roaches, termites, spiders, mice, and stinging insects within 40 feet of the structure. The Premier program also includes exterior pest defense and interior pest control services, cobweb removal, rodent control, window sill vacuuming, and many other services, including termite monitoring and termite inspection for complete pest protection for your Allendale home. Contact the pest pros at Action today to figure out which pest control program is right for your home and family. Action Pest Control is a pest control company that puts the needs and wants of its customers first. We provide our customers with a variety of pest control services including residential pest control, commercial pest control, mosquito control, bed bug control, and termite control. Our more than 70 highly trained and experienced professionals (including staff board-certified entomologists) can solve any pest problem using modern, safe, and effective solutions. We take pride in the fact that we customize each of our pest control services to meet the needs of each individual customer. Action Pest Control is a QualityPro certified company which means that we have been recognized as national leaders in the pest control industry and in our ability to provide the very best pest protection for all of our customers! Call us today to find out why so many Indiana residents trust us to protect their homes and properties from pests.